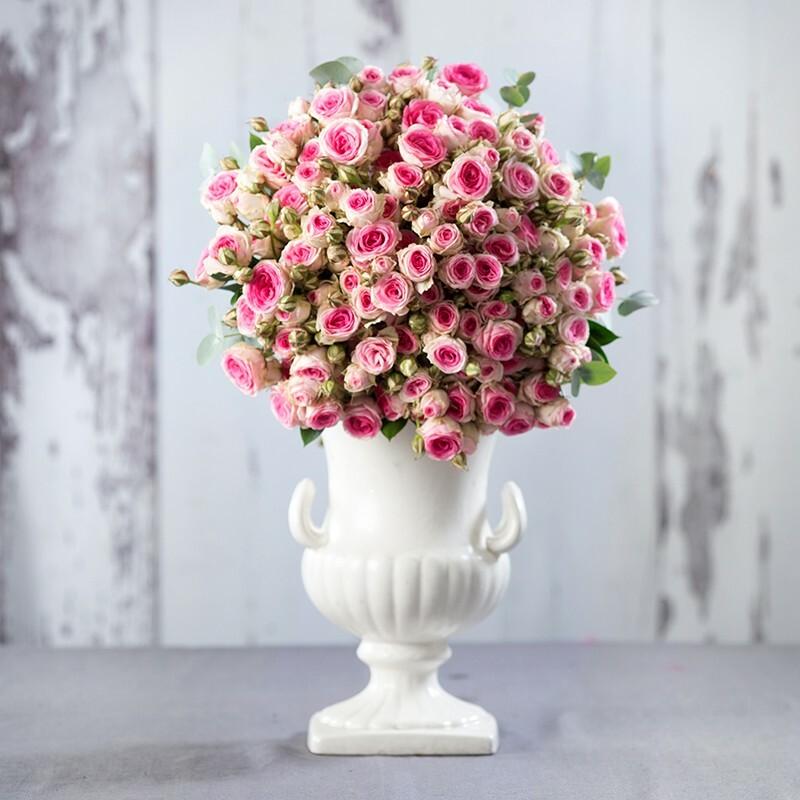 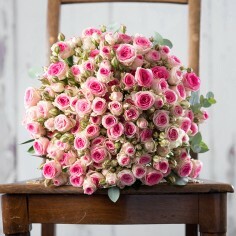 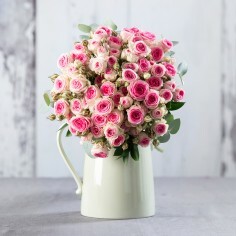 A delicate bouquet of pink and white Mimi Eden spray roses. 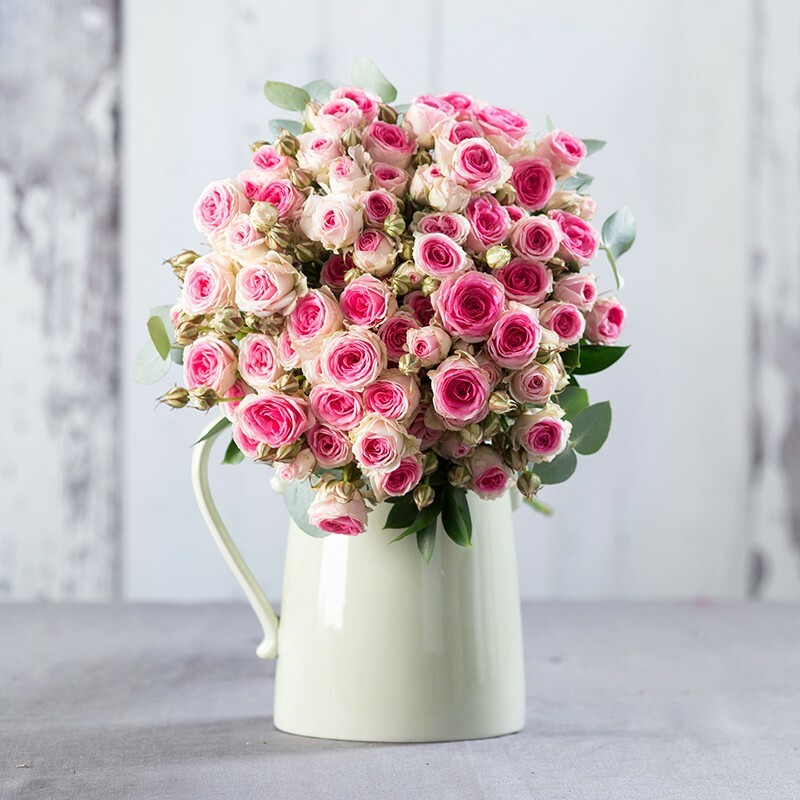 The perfect gift to create that romantic moment. 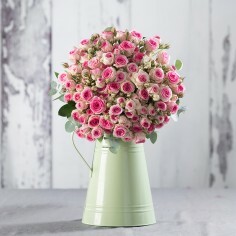 Please note the bouquet pictured is the extra large size and the vase is not included. 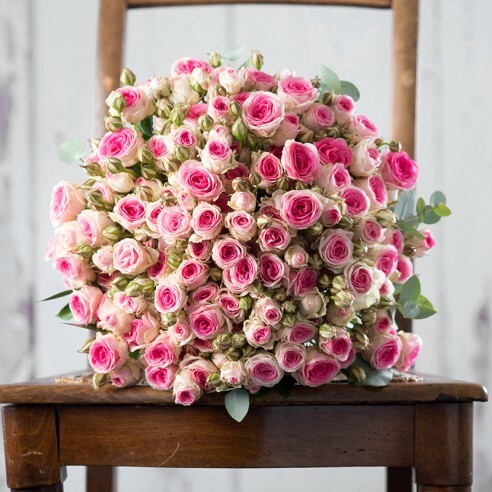 Premium Delivery: Order by 4pm for next day delivery and receive a one hour delivery window, notified in advance so that customers don’t have to wait in for the delivery. Premium Pre 12pm Delivery: Order by 4pm for next day delivery and receive a one hour delivery window in the morning, notified in advance so that customers don’t have to wait in for the delivery.